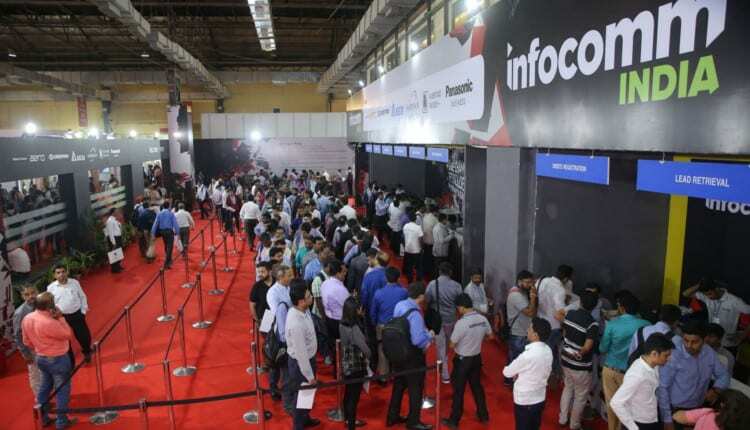 The sixth edition of InfoComm India, held from from September 18-20, 2018, concluded on a high note, breaking new records for show visitor participation as well as breaking new ground in scale and depth of innovations displayed and topics discussed. Continuing the upward trend since the first edition in 2013, the number of unique visitors came close to breaking the 10,000 mark, with 9,902 thronging the exhibition halls, representing a hefty 21 per cent increase over 2017. On the other end of the spectrum, more than 200 exhibiting companies from over 20 countries were on hand to unveil and display the latest innovations and solutions in Professional AudioVisual (Pro-AV) and integrated experience. 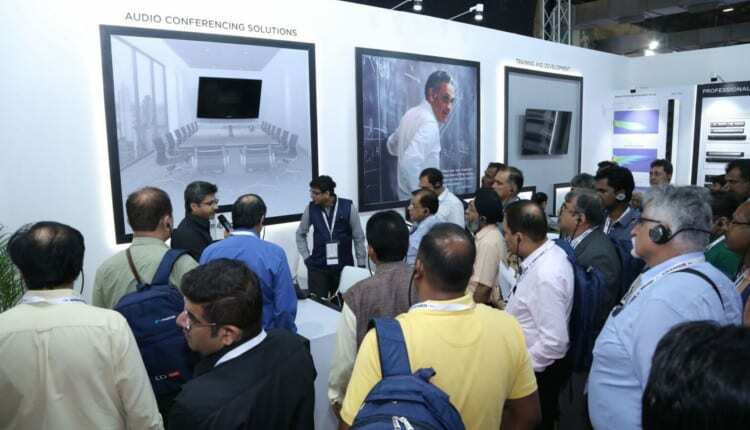 Increasingly, more exhibitors are capitalising on the visibility and wide exposure of InfoComm India to launch new technologies and solutions. This year, 84 new innovations made their debut in the Indian market via the show. One of the favourite displays among visitors was the world’s first commercially available DLP laser 8K projector and videowall with the smallest pixel pitch at 0.7mm. The educational component of the show, InfoComm India Summit registered 2,970 participants. The expansive programme offered sessions across AVIXA seminars, industry and technology forums, AVIXA FlashTracks and Platinum Partners’ presentations, supported by industry associations. Leading experts and speakers engaged delegates with insightful presentations and exchange of ideas. Issues on smart cities, urban transportation, education, e-government and healthcare, among others, were extensively explored and discussed, bringing to the fore the complexity and diversity of the impact of digital technology on people and businesses, and the defining role that Pro-AV and Integrated Experience technologies play in facilitating the digital revolution. Providing InfoComm India the cutting edge as the premier show in Pro-AV and Integrated Experience solutions is partnership with trade and industry associations. This year, InfoComm India partnered with All India Institute of Local Self Government, Computer Society of India (Mumbai Chapter), Digital Signage Multimedia Alliance, ICT Academy, and Institute of Indian Interior Designers, Mumbai Regional Chapter. These associations brought to the show the latest in technologies that drive their industries and cross-fertilisation of ideas. 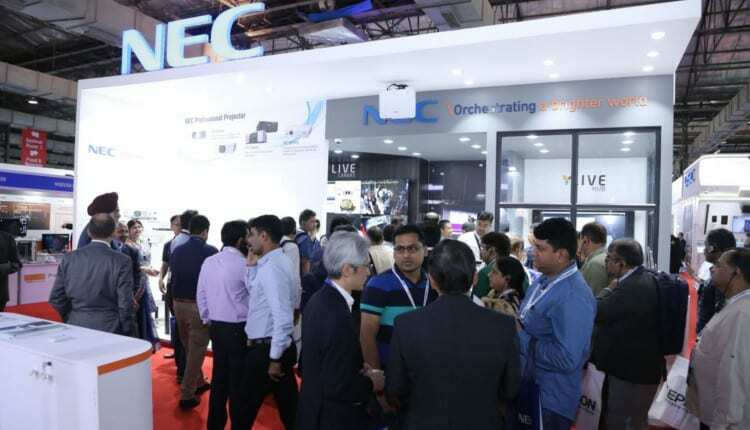 “We are delighted to note that InfoComm India continued to grow in participation numbers, breadth and depth of innovations and technological solutions displayed and explored. We are even more gratified to note that an increasing number of key industry and public sector leaders have recognised the value that InfoComm India is contributing to India’s road to digital revolution. We are confident that with the continued support of industry and government, the show will grow in tandem with India’s progress,” said Richard Tan, Executive Director, InfoCommAsia, the organiser of the show. “I have been coming to InfoComm India for many years, and the show is even more thrilling this time, getting more active and dynamic with an even denser participation. To me as an Indian practitioner, India needs more exposure and I am glad that InfoComm is doing that in a correct way. The more exposure we give India, the better. We are the masters; we just need to harness technology and understand how to deliver technology with quality. This platform is a great step towards that,” said Amardeep Behl, Director, Design Habit. “We have been frequent visitors to InfoComm India and this time I have found some outstanding products that have great relevance to the immersive experiences that we do. The whole place has a festive atmosphere, and it is always a pleasure to visit the Show,” said Vamshi Krishna, Regional Business Head, Brightstar. “It was a fantastic show. There were many local and international players this time representing the industry. We got an opportunity to see many new visitors and innovative technologies. The exhibitors made good presentations of their products with a business focus, and we were able to build many new contacts,” said S V Phani Kumar, SPM Enterprise Communications. 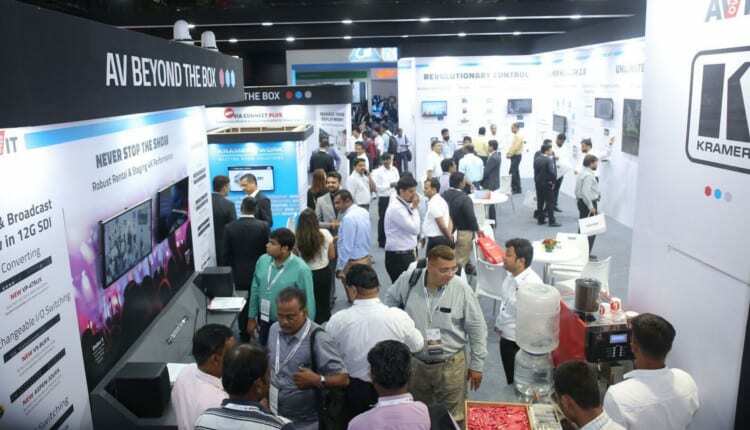 InfoComm India will return next year from September 18-20, 2019 at the Bombay Exhibition Centre in Mumbai.